7. Super tightness, fit on ego battery perfectly! 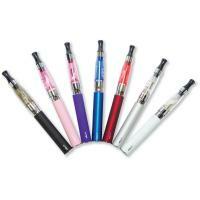 How to refill Evod clearomizer? 2.Beautiful LED button,you also can choose battery indicator design,the battery color changed accroding to the power quantity. 4.All of our battery are tested one by one before shipment. 5. Five click function system. Shenzhen Tyan Technology Co., Ltd, located in the beautiful coastal city --- Shenzhen, established in 2014, is a professional high-tech health electronic cigarette research and development, production, sales and service of integrated technology manufacturer, specially engaged in electronic cigarette products, e-liquid, cartridge, atomizer and series of accessories and so on. With advancedmanagement ideas and abundant resources, Shenzhen Tyan Technologyattracts a group person of highly qualified and experienced in electronic cigarette research, development and management. 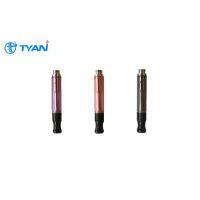 Recently, Shenzhen Tyan Technology has a complete product system in electronic cigarette market. Furthermore we will bring in high-energy and durable battery, exclusively create high-end EGO series. Real smoking taste, but healthy and fashion! Shenzhen Tyan Technology has advanced electronic technology equipment, a high standard inspecting management system, to ensure the product quality in line with international standardsfrom materials incoming to pre-shipping delivery. With "quality first, customer first, faith-based, and sustainable development" business philosophy, Shenzhen Tyan Technology built some OEM partners in Europe, Asia, North America, Africa and some other areas. Right now Shenzhen TyanTechnology provides a variety of series, advanced technology, high quality electronic cigarettes, to become favored electronic cigarettes manufacturers in the global market! 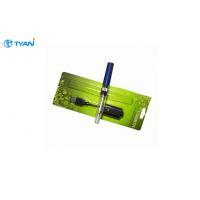 Shenzhen Tyan Technology will work harder, and set its mission to provide alternatives to tobacco smoking and promoting a healthier life style via its state-of-art and easy-to-use e smoking products throughout the world. Sincerely look forward to more domestic and foreign customers to cooperate, seek common prosperity and create a wonderful future!